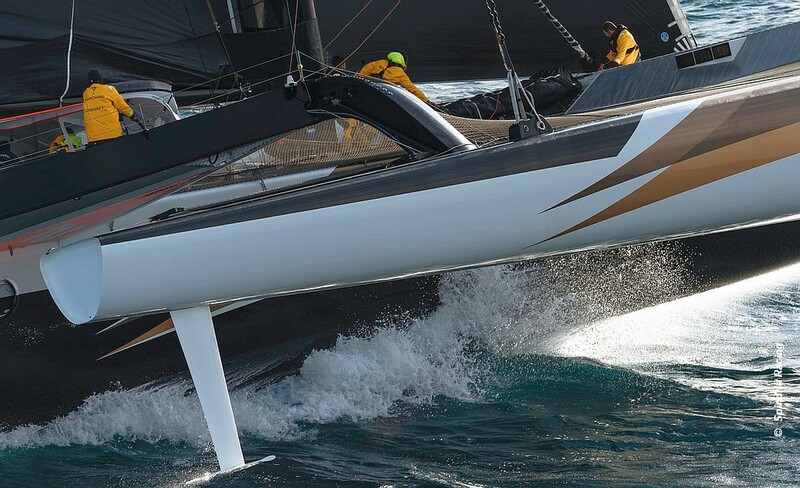 At 19:00 UTC on Friday, Yann Guichard, the skipper of Spindrift 2, contacted his technical team ashore to report damage to the structure of the starboard rudder. The starboard rudder fixing of the maxi-trimaran was damaged. “Because of this technical problem we have no choice but to stop this record attempt. It is a huge disappointment to all of the crew. We are now heading to the south west coast of Australia and expect to reach there in the next four days,” confirmed Yann Guichard.